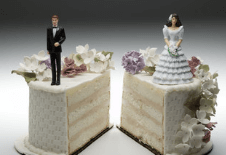 Uncontested divorces in Texas are unfortunately common. The law requires that there be no expectation for reconciliation, so if you have consulted your church, your trusted friend or parent, or your conscious, and ultimately you decide it’s time to divorce for the greater good, then you should probably call a professional attorney with experience in divorce law to do it for you. The WORST thing you can do is separate and then wait to divorce after you both have moved on as you are still legally obligated to each other financially and in other ways. Some people attempt to file a divorce on their own and later discover they are still legally married, when they honestly thought their divorce was complete. Others pay to download forms online and find that those forms are not appropriate to a Texas divorce and waste their money. Others download proper forms and encounter a clerk at the courthouse who is unable to help or direct them because of the law prohibiting them from giving legal advice. And finally, others put their trust in a non lawyer, notary, or friend and take the gamble that they can navigate through the complex laws and issues and get their divorce. Some are successful and later find out they cut themselves out of thousands of dollars in community property and other things they were entitled to including permanent restraining orders, child support, health supporter, name changes, orders against unrelated adults around their kids or overnight, and much more. 1) Are you actually married in the first place? 2) Where should you file in order for the divorce to be legal? 3) What are you even entitled to in the first place? If you do not sort out the three issues above, you may be clawing around in the dark and have a very frustrating experience. If you or a loved one needs help with an uncontested divorce, call The Barrera Law Firm at (956) 428-2822 for a free consultation. Get what you deserve and get it done right.